Made of reclaimed scrap glass. Comes in 50 pound bags and 2000 pound pallets. Pricing per individual pound is also available. 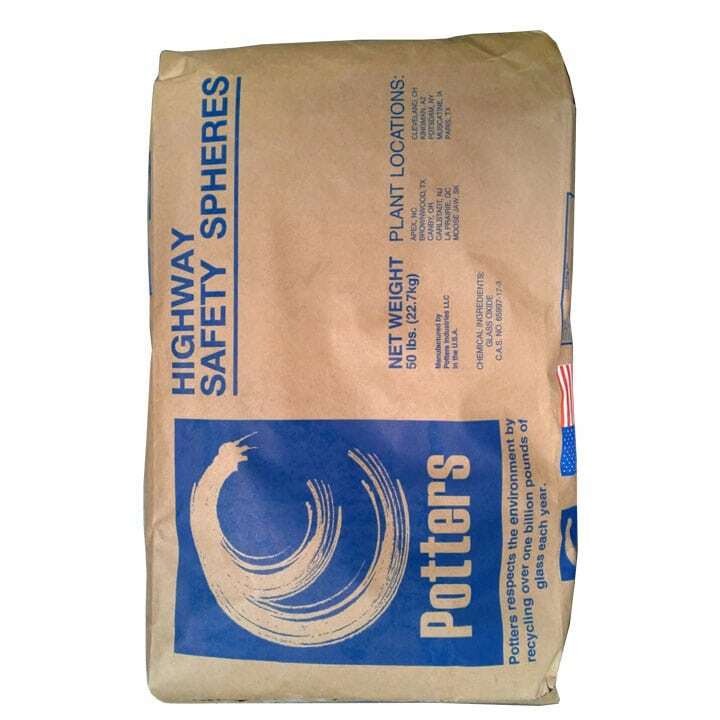 Transline is proud to carry Potters® brand glass microspheres. Our reflective glass beads meet or exceed every adopted highway safety marking sphere standard in effect today. And because they’re made of reclaimed industrial cullet, they’re the environmentally friendly, choice, too! Standard Highway Safety Marking Spheres can be applied as drop-on spheres in all commercial applications—water-borne paint, epoxy, polyester, thermoplastic, PMMA, polyurethane, polyurea and VOC-compliant paints. Type I Reflective Glass Beads for road markings.